Tanis Rideout's Above All Things is part of an important tradition in human history and literature. The deaths of George Mallory and Sandy Irvine continue the fascination we have with glorious failures and heroic misadventures. but I would die of shame if I would shrink from battle now." He then describes the future of the city itself, "
besides your agony." Like George Mallory and Sandy Irvine, his final thought is the wife and family he leaves behind. In 1909 American Robert Perry was the first to reach the North Pole; Perry survived and returned to his wife, Josephine, and to their children. In 1911, the race for the South Pole became intense with both British Naval officer Robert Falcon Scott and Norwegian explorer Roald Amundsen preparing parties to attempt the feat. 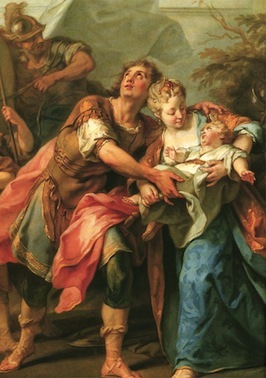 Robert Scott left behind his wife, sculptress Kathleen Scott, and their child to reach what was then "the other pole." Great God! This is an awful place." The return journey was gloomy, monotonous, and tiring; the team fought their own depression along with worsening weather conditions, frostbite, and a lack of food. At some point toward the end, Scott knew his group would not survive. He wrote in his diary, "I do not regret this journey; we took risks, we knew we took them, things have come out against us, therefore we have no cause for complaint." On March 28, he wrote his final entry, ""We shall stick it out to the end, but we are getting weaker, of course, and the end cannot be far. It seems a pity, but I do not think I can write anymore  Last entry. For God's sake look after our People." As with Hector and George Mallory, Scott's last thought was for those he left behind. 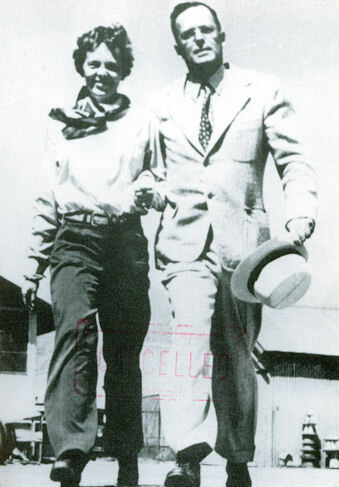 Amelia Earhart, in the company of pilot Wilmer Stultz and co-pilot/mechanic Louis Gordon, became the first woman to fly across the Atlantic. In 1932, she was the first woman to fly solo across the same ocean. She proved that women were at least men's equals in "jobs requiring intelligence, coordination, speed, coolness and willpower." She continued to fly and to set records. In 1937, she set off on the journey to become the first woman to fly around the world. She left behind her husband, publisher George Putnam, and, despite the crash of her Electra on the first try, she was determined to make the flight. She was nearing 40 and said in an interview, "I have a feeling that there is just about one more good flight left in my system, and I hope this trip is it." By June 29, Amelia and her navigator, Fred Noonan, had reached New Guinea having covered all but 7000 miles of the 29,000-mile trip. They now prepared for the most dangerous jump of the journey, to Howland Island in the mid-Pacific, more that 2500 miles away and only 1 ½ miles long and ½ mile wide; Amelia had all unnecessary things removed from the plane to make room for an extra fuel tank since the distance was beyond the Electra's standard limit. She and Fred Noonan took off on July 2 and, contrary to weather reports, they encountered clouds and storms. At 7:45 the next morning, a coast guard cutter tracking her near Howland picked up a message, "We must be on you, but we cannot see you. Fuel is running low. Been unable to reach you by radio. We are flying at 1,000 feet." At 8:45 she reported running north and south  and then there was silence. Amelia was never heard from again, and her plane's remains have never been found. Like others before her, she reached higher than anyone thought possible, and failed  but in that failure, she again proved that humanity moves ahead only when it risks all pursuing an ideal or a goal. Like Icarus, these three and George Mallory flew toward the sun and came so close that it destroyed them. There are others: we could explore the Titanic disaster, the destructions of the Columbia and Challenger shuttles, and the failed attempt to rescue the hostage Israeli wrestlers in Munich in 1972. But Hector, Scott, Earhart, and Mallory embody best the many women and men whose glorious failures still inspire us. This "beyond the book article" relates to Above All Things. It originally ran in March 2013 and has been updated for the February 2014 paperback edition.